The Annual Overtown Music and Arts Festival has consistently delivered top notch performances from several grammy winning R&B artist's all while succeeding in promoting economic development, community enrichment and excitement to Overtown. Free to the general public, the festival of celebration includes live performances by nationally-known recording artists, local vendors showcasing artwork, ethnic cuisine, unique crafts, jewelry and a vast array of one of a kind items only found in South Florida! 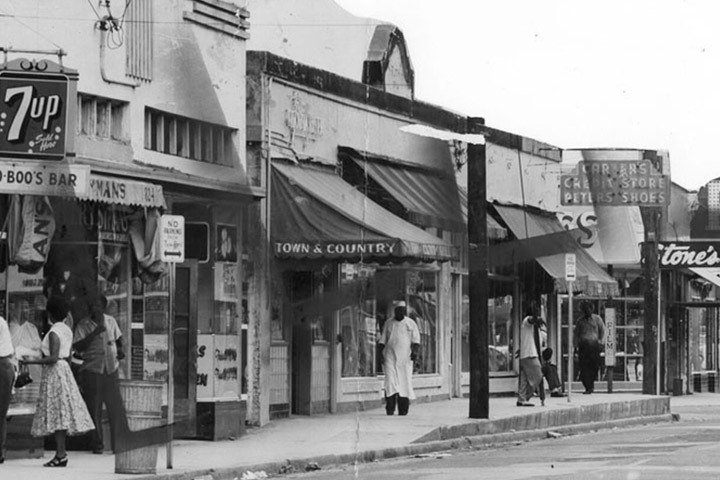 Overtown is one of Miami’s earliest historically black communities. The area’s first settlers were black workmen who followed the FEC railroad south as it was extended from Palm Beach to Miami. The area we now know as Overtown was originally called Colored Town and was designated by Henry Flagler and Julia Tuttle as the location for black laborers and their families to live. Black men provided the primary labor force for building Miami and as a result the history of Overtown is inextricably and permanently linked to the story of Miami, “The Magic City”. Colored Miami began to flourish as a community. By 1905 Colored Town’s Avenue G now known as NW 2nd Avenue and immediate areas had many first class stores and shops. The area grew to include restaurants, grocery stores, barber, beauty, tailor and dressmaker shops, doctor and law offices, a milliner, local insurance company, and a soda water bottling company called Cola Nip. It became a tourist and entertainment destination, not only for local blacks, but people of African descent from around the country. White tourist and white residents frequented this neighborhood to enjoy the entertainment, to partake of the exotic foods, and to listen to popular and gospel music.